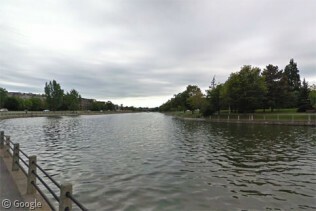 The Rideau Canal is a World Heritage Site waterway which connects Canada’s capital Ottawa to the city of Kingston on Lake Ontario. The route consists of a combination of several lakes, numerous rivers and dams, and 19km of man-made canals, featuring 45 locks. Used today for recreational boating, the Canal was constructed in the early 19th century for military use. Supply ships from the British-controlled Upper Canada were under threat from American forces in New York state if they travelled from Kingston to Montreal along the Saint Lawrence River. The Rideau Canal allowed boats to travel safely north to the Ottawa River then east to Montreal. Lieutenant Colonel John By of the Royal Engineers was given the unenviable task of creating the Canal in an inhospitable landscape of rock, swamp and forest, while receiving insufficient funding from the British government. His achievements led to the naming of the fledgling community as Bytown, though it was renamed to Ottawa in 1855. Our tour of the 202km long waterway begins in Ottawa with the flight of eight locks1 that lift boats 24m from the Ottawa River to the section of Canal which runs through the capital’s downtown. This man-made section bypasses the rapids at Hog’s Back and the waterfall where the Rideau River meets the Ottawa River. Winter temperatures (and a good deal of maintenance work), transform a 7.8km length of the canal into the Rideau Canal Skateway – the world’s largest skating rink2. Each year tens of thousands of people enjoy outdoor skating during the Winterlude festival. Street View visited Ottawa in the early spring, after the ice had melted but before the water levels were allowed to rise for boat traffic. We can still see – from the road named in honour of the Canal’s creator, Colonel By Drive – the temporary huts installed each winter which allow skaters to thaw out their toes, or warm up with hot chocolate and the local delicacy, Beaver Tails. South of Hog’s Back, the route is taken over by the Rideau River which takes boaters through a number of communities and seven more locks on the way to Merrickville. Here we find the distinctive and imposing Blockhouse, constructed in 1832 to protect the locks from American attacks. Today it serves as a museum. While many mills were destroyed in the construction of locks along the system, the mills at Merrickville were preserved, only to be put out of business a couple of decades later when a large rail hub developed in nearby Smiths Falls. Here, a new large combined lock was built in the mid-1970s to replace three old locks, resulting in the highest single lift (almost 8m) of all the locks in the system. We can only see the last of the three old locks, but the difference in depth of the new lock is clearly apparent. There are many different types of bridges along the Canal, including swing and lift bridges which open to allow larger boats to pass. Smiths Falls is also notable for the Scherzer rolling-lift rail bridge (visible here beyond the ‘detached’ lock) which was built apart from the road bridges to reduce the need for bridge openings. The rail line was closed many years ago and the bridge is now permanently raised. Travelling south-west from Smiths Falls, the Canal passes through a series of lakes, connected by rivers and man-made channels. The lakes are popular vacation spots, and many are lined with cottages or summer homes. Big Rideau Lake is the largest body of water along the route. Newboro is the highest point of the Canal and one of the locations where the difficult history of its construction is most renowned, both in terms of the labour required and the human cost. Surveyors originally expected an easy cut across the isthmus between Mud and Rideau lakes, but workers encountered significantly more rock than was expected, which led to painfully slow progress. At the same time, malaria struck the workforce and their families, with hundreds dying from the disease from 1828 to 1830, while many others deserted to escape the terrible camp conditions. In total more than a thousand people are estimated to have died from disease and accidents during the construction of the Canal. There are memorials to these fallen workers in both Ottawa and Kingston. Many years later, in 1966, the Newboro lock met with controversy when it was the first to be converted from manual to electric operation. Boaters and residents near all the lock stations felt that removing manual lock gates would forever change the character of the Canal. Opposition was sufficient that only two other locks have been converted since then. The passage into Lake Opinicon3 also gave the engineers considerable trouble, though the situation was eased when mill-owner Samuel Chaffey died of malaria, at which time his widow sold the land to allow an easier location for the lock, now known as Chaffey’s where there is a swing bridge over the lock, and a defensible lockmasters house, which is also now a museum. The Jones Falls area was another difficult situation for By to surmount, with numerous options being explored to bypass the rapids. Eventually a dam was constructed, standing over 18m tall and 65m wide, though the stone in the area was unsuitable meaning the rocks for the dam had to be quarried some distance away. Four locks allow passage into Whitefish Lake. Passing through a couple more lakes, the Upper and Lower Brewers Locks, and a stretch of the Cataraqui river, brings us to Kingston Mills, the final flight of four locks which allow boaters to continue downstream. Eventually they pass beneath the slightly rusty beams of a final lift bridge4 to access Lake Ontario. The Rideau Info site is an excellent resource with a detailed history section – including a biography of Colonel By, and information about each lock station, both practical and historical. Great article about what is really a treasure. The canal is a fantastic way to see that part of Ontario. What a lot of folks don’t realize is that much of the canal is sheltered, more like a river than a lake crossing. What an adventure to chug along … There are also many small towns along the way to stop at.